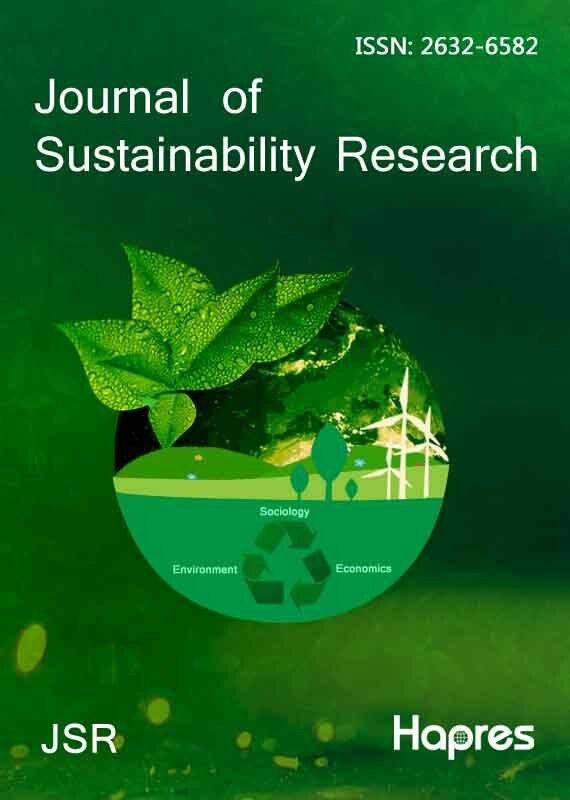 The Journal of Sustainability Research is an international, peer-reviewed, open access journal published online quarterly by Hapres. Our vision of the future is of a world of sustainable human societies, which qualify as such by having demonstrated their pervasive, ongoing capacity for facilitating, enhancing, and sustaining indefinitely in that facilitated or enhanced state the well-being of human individuals, their communities, and their environments. We envision the Journal of Sustainability Research, therefore, as a forum for the publication of research undertaken in support of that vision. The Journal's scope is outlined by a list of sections, which remains a work in progress, meant to capture the essential elements of these societies expressed in systems thinking terms. The use of systems thinking in this context signifies a recognition that the existential sustainability challenges now faced by human societies the world over must be approached holistically if those challenges are to be met. Toward that end, the Journal of Sustainability Research is especially eager to receive submissions based on research undertaken from perspectives that transcend the boundaries of academic disciplines and the reductionist perspectives that those boundaries imply, but also welcomes submissions based on research from other perspectives as long as it is presented in a way that, a) makes it accessible to a multidisciplinary readership, and b) offers information or an application that relates to our vision and scope.